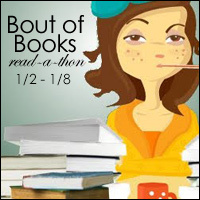 Getting ready for Bout of Books 21! This is my post outlining my goals and plan for the week, plus a section for my daily updates across the week. A week spent with a focus on reading and letting myself relax and fall in love with characters and stories I both love and those I haven’t met yet sounds wonderful right now. I’m so excited and can’t wait for midnight! Spend time reading and enjoy it. Ideally I’d like to spend at least an hour a day reading during this week (minimum). Read from my TBR list – hopefully 3 books. 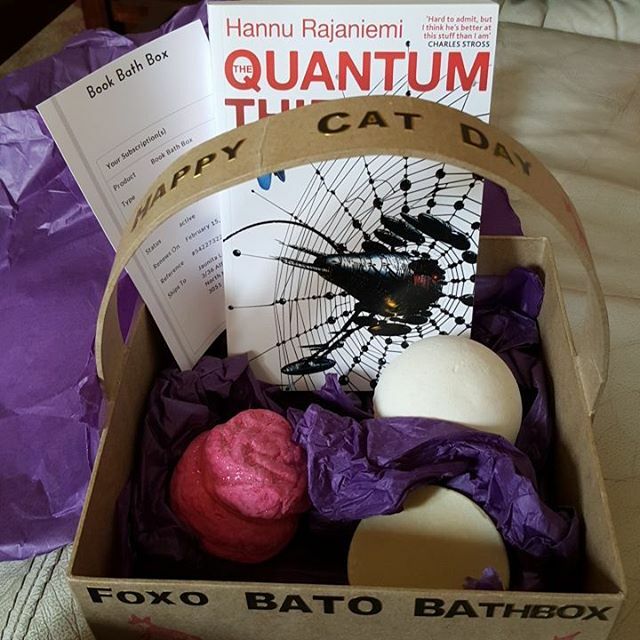 Participate and connect with others online also joining in with #boutofbooks. Have fun (the entire point of doing something like this). 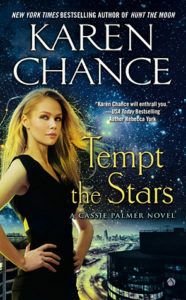 Finish this book (I’ve barely started it) – it’s been on my TBR forever and it’s a buddy read in one of my book clubs. I’ve been meaning to continue with this series for ages (and put it in my ‘currently reading’ shelf to remind me, but haven’t started it yet). I started rereading this series last year, but got distracted at the third book, I am rereading so that I can read the later books in the series I haven’t read yet with the story fresh in my mind. 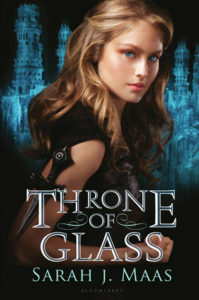 I finished ‘Throne of Glass’ by Sarah J. Maas, which was overall a silly book but fun enough in a junk-food kind of way. 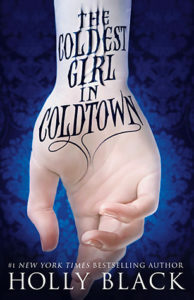 I started ‘The Coldest Girl in Coldtown’ by Holly Black – gosh I love her writing! I started reading ‘Traiter’s Moon’ by Lynn Flewelling, this is a reread of this book in preparation for reading the last books of the series that I haven’t read yet. I love these characters *so* much! 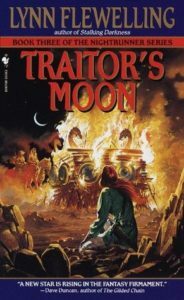 I finished ‘Traitors Moon’ by Lynn Flewelling and am keen to start the next one. But I also started ‘The Boy Who Lost Fairyland’ by Catherynne M. Valente. I started ‘Shadows Return’ by Lynn Flewelling and have been deeply immerse in that. I finished ‘Shadows Return’ and started ‘The White Road’ by Lynn Flewelling – I’m so enjoying this series and the past two books are the ones I haven’t read yet so are a delight. I’ve gone tabloid style for this.. 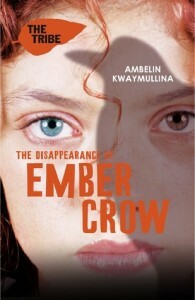 I am still reading ‘The White Road’ by Lynn Flewelling – slow going because yesterday was a high pain day. No book spine poetry for me today – I was struggling a bit too much to manage. Everyone else’s look great though! Day 7 and by the end I managed to finish ‘The White Road’ by Lynn Flewelling which makes it 4 books I finished during the readathon! YAY! 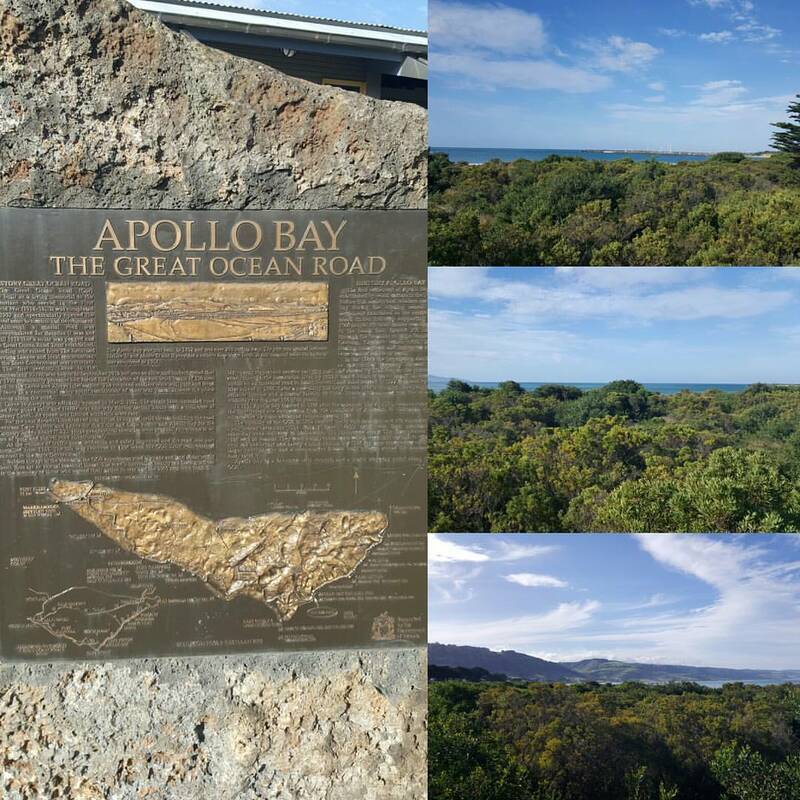 What a week – hopefully I can participate in the next one too! Thank you to all the organisers and experts for making it a glorious and fun week! Back in January, I revealed my theme for 2017 as Cusp and wrote about it in detail. Now it’s time to revisit what I wrote then and see what I’ve learned from this year, where am I tracking as far as what I wanted and hoped for. Reading back over that post, I’m still deeply moved by it and how it managed to encompass so much of what this year means to me. If I felt like I could see the end point back in January, now in August… wow. I can feel the end of this degree and the journey that accompanies it breathing down my neck. I feel like there has never been enough hours in the year, and that I’ll be crawling into December. But oh this year, what a thrill it’s been to just maintain awareness of this idea of liminality, standing on the precipice and revelling in being ‘on the verge of’: on the Cusp. Trying to gain as much grounding, support, practice, research, and learning as possible. Trying to balance that with self-care and maintaining my household amidst budget pressures. As much as this year is preparing me to leap, to fly, to take off into a newly created future, it’s a deeply grounding year and I have felt like I’ve revisited many things and reprocessed things, reawoken others – not all of it welcome. And yet, I persist. So what does that look like in the specific focus areas breakdown? 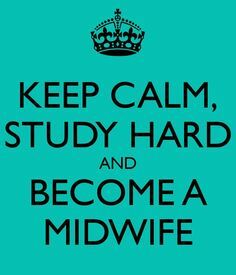 It’s looking more and more likely that I’ll succeed at this goal I’ve had and be able to finish my degree in Midwifery and qualify to practice as a Midwife. That’s an incredible thing to contemplate. Equal parts exciting and terrifying. I’ve submitted all my applications for Graduate positions, I’ve completed the interviews. And now I wait, and hope. I did the best I could with references and applications and I’m secure in how that’s proceeded so far. I also maintain faith in knowing that the sky won’t fall if I don’t secure a graduate position for next year: I can and will make this work, it’s what I’m here to do. I submitted an abstract to both the national and student conference for later this year and both were accepted, one for a poster and another for a talk, so I’m in the midst of doing that work for presentation now. I’m delirious with excitement as this will fulfil a long held goal to present at a professional conference. 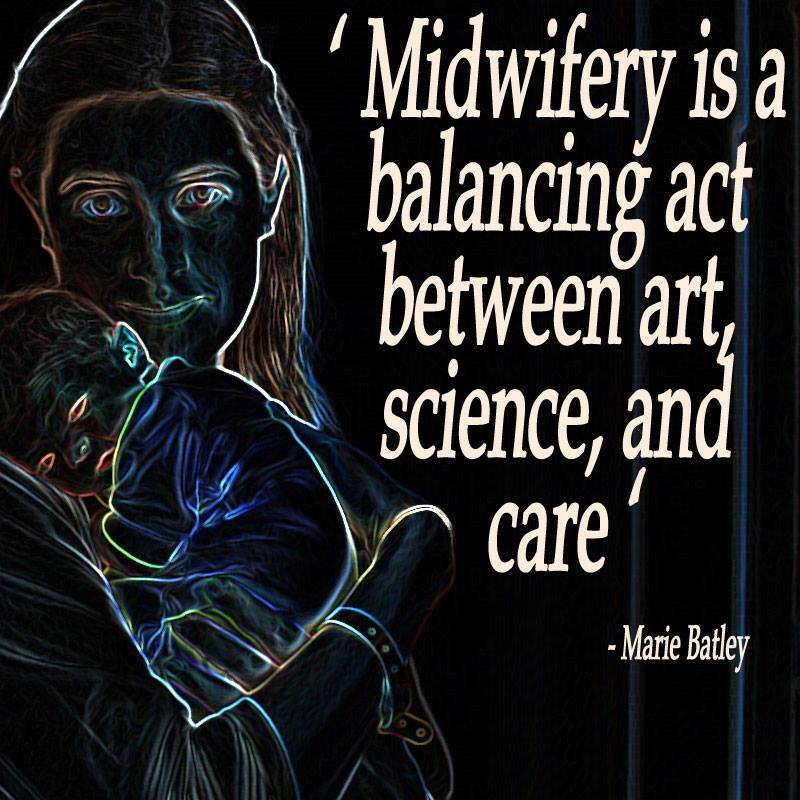 I can hardly believe that it’s really happening, but it feels welcome and resonates as ‘right’ for me: I want this, I want to contribute to research and midwifery, increasing evidence for practice, expanding boundaries, making positive changes possible. I am still working on feeling ‘ready’ to be qualified and a professional in my own right. But I’ve still got two placements left, and I know that there’s a transitional period as a graduate too. But I know that I’m closer than when I started at the beginning of the year, I’m working as hard as I can at every moment for it to come together. And it’s not like I will ever stop learning and trying to improve my practice: that’s continual and part of being a reflective and adaptive practitioner. 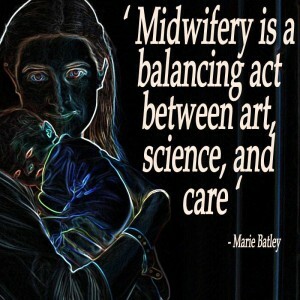 I’ve needed this focus so much this year and it’s been deeply central to everything – even Midwifery. I still have things in play to fulfil me socially with chosen family and close friends bolstering the energy from my beautiful partners. I’ve got some new online spaces that bring joy and care my way and ground me and focus me in a way that I didn’t realise I’d been missing desperately. I love Slack. In my physical social life I’ve made it as easy as possible to say ‘yes’ to things and to spend time in ways that will energise and inspire me, allow me to keep working hard and pushing forward. Also this helps me to mediate the worst of budget difficulty and mediate the impact of mental health stuff our family is going through. It’s been a hard year, but my beloveds and I are consistent in that we all persist. That is always heartening. 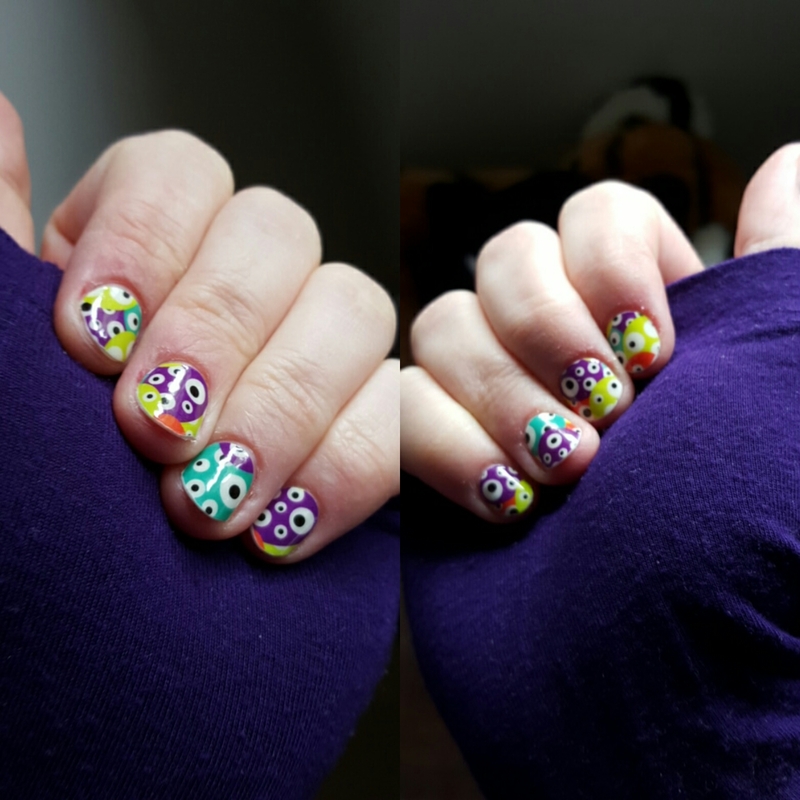 I am still trying to do my nails regularly, and it still helps – especially when I am managing to follow through on the regularity specifically. I am reading for pleasure and I’m cooking some amazing food. I have been taking baths and focusing specifically on activities that allow me to relax. The media and books I’ve been consuming have stayed fluffy, I’m just letting go of doing any harder reading or watching this year, it’s all about comfort and optimism right now. I have also been doing counselling which has helped and so very validating. It’s nice to know that I’m overall coping exceedingly well with extremely challenging circumstances. That central truth helps me to keep going and contextualises it so that I don’t think that how hard things have been is just ordinary hard or challenging. It’s not. On the advice of my counsellor I’ve been starting to meditate and this time around, with the app I’m using, I’m having quite a lot of success with it. This year has been difficult in the self-care department not the least of which because there’s so much riding on this year and so much to do that there just never seems to be enough hours. But I also had a health experience that reactivated my post traumatic stress disorder and so I’ve been fielding that being more of an imposition than I’m used to for the past few months. While I’m not depressed, I have issues with anxiety, and they play into sleep, not exactly insomnia but not restful sleep, not enough sleep, too easily roused and anxious and thinking and driving myself to ‘do’ even when what I’m supposed to be doing is sleeping. I’ve done an amazing job in this area, and I’ve needed it. I’ve needed my loved ones and their unstinting care and encouragement, being able to just trust in their love. I’ve needed to care for my loved ones, to be able to make a difference in the difficulties they’ve also faced – be outside my own head and be reminded that there is so much going on outside my own sphere. Also, giving in what capacity I can means that I can more easily accept the help when it is offered, and since I’ve needed the help, I have also needed to know that it is grounded in mutuality and love. I said in January that Cusp is about being myself and letting that be okay and it’s still true – whether I intended to hold so closely to the importance of that statement or not, I don’t know but the actuality is that it’s underpinned everything. I am more myself than I’ve felt able to be in the past couple of years, I am more in sync with who I am and who I want to be – they’re not so far apart now. That’s pretty amazing, I can’t even pretend that I’m anything other than elated about that. As I said above in self care, reading and media has remained a comfort to me and is of deep importance. I can’t conceive of myself as someone without at least one book or television series in progress at any given time. I’ve focused entirely on fluffy and comforting subject matter though, I’ve had no space or coping for harder work in my head or heart with this space. I have needed reading and watching to help me recover and relax, so fluff and comfort it is. Excellent decision on my part overall. I’m not really sure how well I’m tracking against my reading goals at this stage – that’s going to be something I allow future me to deal with. 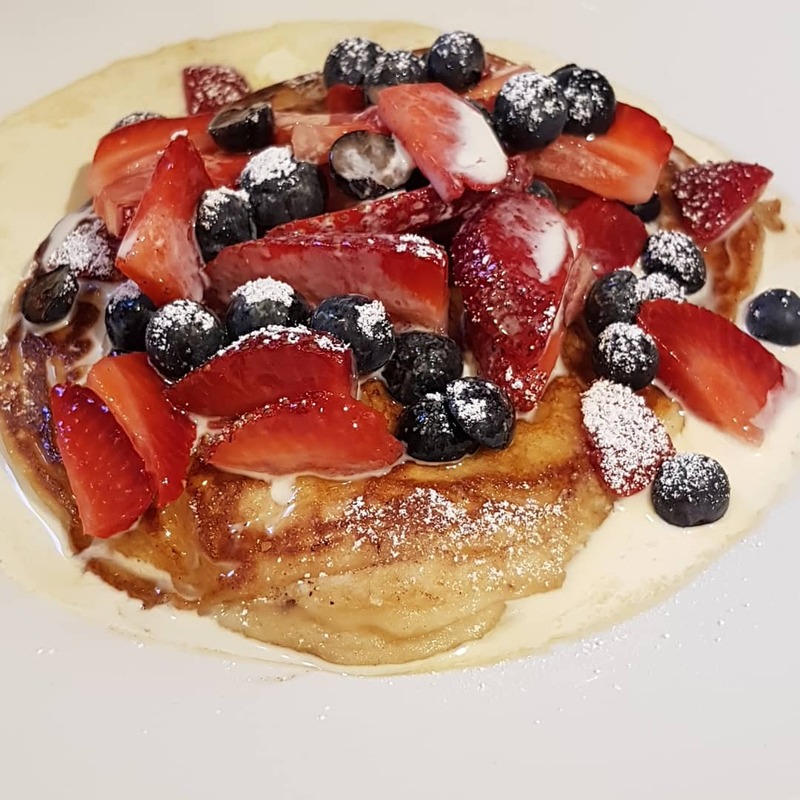 Everything I said before about this being a harder year budget wise was true, and so meal planning and lifting our spirits in tiny ways has been imperative. It’s helped. We’re making it through. 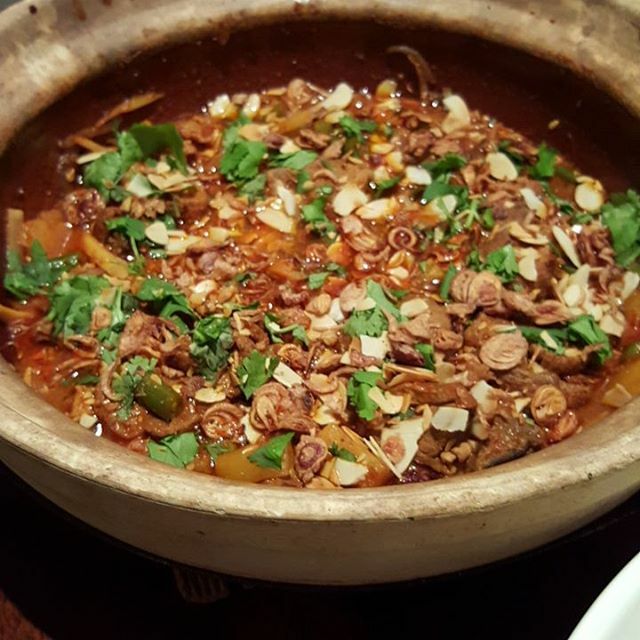 The image I picked is from Bat’s birthday dinner, I made Red Duck Curry with Pineapple as the main, it turned out pretty spectacularly! Fox is happier in new work, and we’re so close to the point where I’ll be able to work and we’ll have two incomes finally. And what a feeling that will be! Our most powerful tool domestically continues to be ruthless kindness and gentleness with one another. We’re all operating at heightened stress, and often limited coping. With kindness and gentleness, any impact that could make things harder or more painful is minimised and often averted. We communicate really deliberately, making requests, providing support, being accountable to one another. Mental health challenges make this both critical and very hard, tiring work. So again, self care – for all of us has been critical. Also coming together and being together, I also think that’s been important, even if we’ve not really been able to make much of an occasion of things. 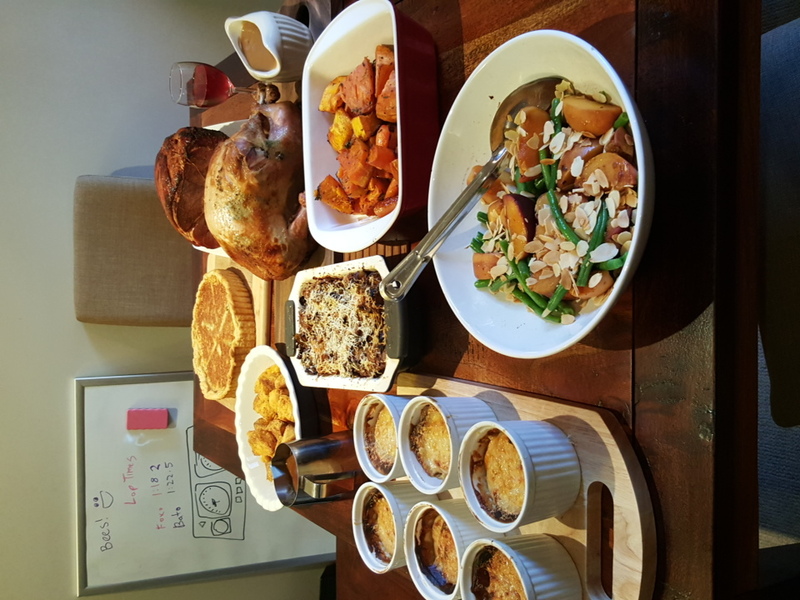 I had wanted to post here more about study, domestic life, and cooking in addition to books and review – but there’s just been not nearly enough hours. I’m going to just assume that will remain the case and I’ll revisit that idea as a next year one. I am profoundly blessed in my relationships. One partner and I celebrated our 20th anniversary – apart, because that’s just how finances crumbled this year and we’ll make up for lost time later. I love them more deeply than I thought was possible 20 years ago, and I cannot imagine my life without them. That’s the most notable thing to mention. But everyday life with my live-in partners is both a joy and a challenge for all the domestic life reasons above. But our commitment and capacity for each other astounds me and inspires me. I couldn’t have gotten through the past few years without all three of us and our mutual determination. Fox is in a better and better place, he’s grown so much even in the past twelve months, I think sometimes he scarcely recognises himself. Bat continues to persevere with Med school and mental health – he’s pushed himself at every turn and I couldn’t be prouder (and at times more heartbroken as to the cost), he inspires me with his ability to just keep going, and his honesty around the difficulty. One of my connections has fallen away in a very quiet way, and I’m just letting it go. It is sad, but I know there’s no actual hard feelings, just not enough impetus and energy and when I realised I was the only one holding on it became a little easier to just take a deep breath, and let it go and appreciate having enjoyed something special. Also, my capacity to drive connection against a tide like that is limited and if I’m lacking that sense of mutuality it makes sense to just appreciate the person and breathe deep and let go. I’m still a little sad, but I am overall okay with it. It is the right choice. The platonic romantic relationship with one partner reached 4 years this year, and we continue to revel in how excellent it is to enjoy each other in the form of really excellent dates and emotional support and togetherness. When so many other bits of our lives are mutually really hard work, it’s just so wonderful knowing that there is nothing but ease and joy with each other. It helps. That goes toward self care too. Friendships have been myriad and so rewarding and important, from chosen family and best friends to friends far away and online. I’m rich with amazing people in my life and honestly, the only way I’ve gotten through is with thanks to them. I wish that there were more hours, wish there was more energy and I could more easily show the difference people have made, and give them more of me. I am still committed to my overall intention being open to things, taking on as much as I can in preparation for what is coming next. 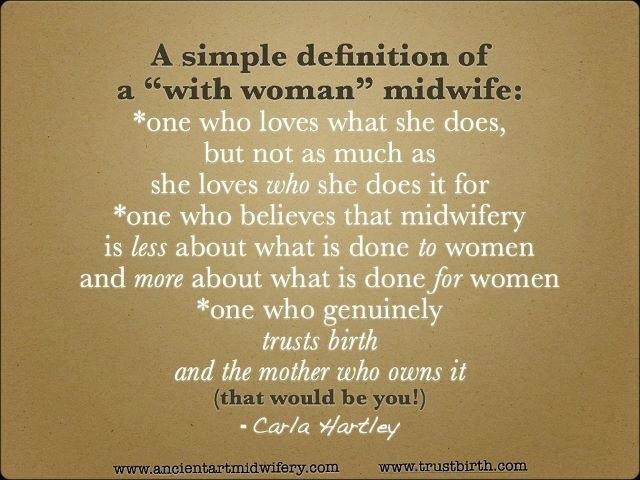 Midwifery filters through every aspect of my life, my feminism, my activism, my passion. The image above is a quote that summarises pretty succinctly my central philosophy behind my practice. I’m not quite as shiny as when I started out the year, I still feel capable, I still feel energised and determined. But I’ve been knocked around by the year, and I’m still struggling. I am learning how to take even better care of myself. I feel more than ever that I’m on the verge, that I’m so very close to the end of this journey, Midwife and all the promise and new beginnings that holds. I’m still in progress, there’s still so many loose ends… but I feel equal to them, and I’ll keep going. The new year rolls around again. Now that I’ve wrapped up what I got out of Chrysalis, my 2016 theme it’s time to open up my 2017 enquiry. That’s how I view a theme for the year in any case, a year long subjective enquiry that I let be the background focus for how I go about things. It informs the lessons I want to learn, the growth I want to undertake or the direction in which I want to throw my energy. It’s a no-sticks way of making the whole new year and resolutions thing work for me. If you’re interested, I wrote about my what and how of themes previously. A theme is always a concept, intended to be big enough and broad enough to encompass an entire year, with flexibility. The idea behind Cusp for me, is that I’m still in the midst of a journey – becoming a midwife. 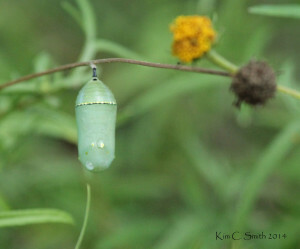 I’m still in the process of transformation and I’m not quite done. Unlike my 2015 theme Becoming, I’m much closer to the endpoint and I can see that ending in the distance. I’m close. I’m on the verge. But there’s still a way to go. I don’t yet have my wings, I’m not quite ready to fly – but I’m approaching that point and so I feel like I’m in this liminal space, in between and not-quite. I like Cusp for the potential it makes me feel, for the challenge it breathes into me and the push for this last year of effort required to achieve this major goal, career and vocation change, who I am in the world, being that kindness and change I wish to see. Everything. 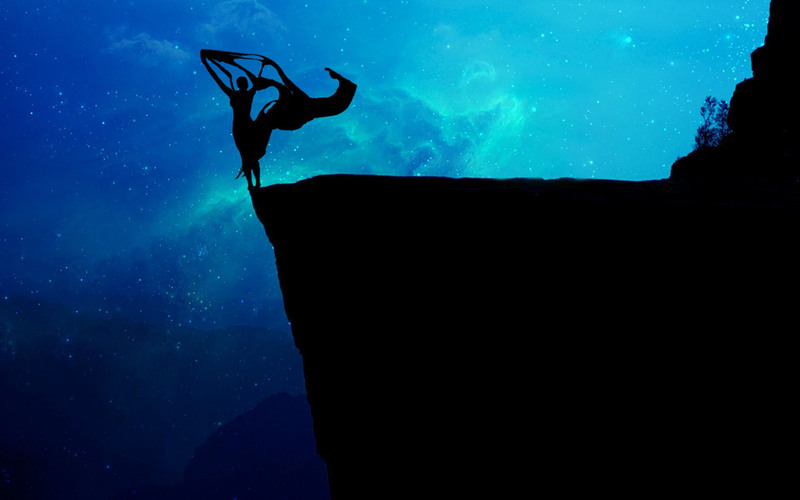 On the verge, standing on the precipice: just before the culmination, on the Cusp. Weeks ago when I was letting this word and concept tick over in my mind, I had thought this would be another inwardly facing theme. I thought Cusp would go to work on me internally and that I would need to look inward to see the effects. Now, I don’t think that is the case. I think this is far more outward facing than I’d supposed, and that it’s a kind of embracing of the world at large and putting myself and what I am contributing out into the world in various ways. There’s still the internal component I’d already mused upon, but there’s also a call for me to be visible, be vocal and practise all that I’ve learned, consolidate it all and find out how it and I all fit together. It’s pretty exciting! Let’s break down the areas where I’m directing my focus for Cusp, and what I hope comes out of this enquiry. I want to complete my final year in my degree to qualify as a Midwife, this is so much the thing that I am on the Cusp of, it’s so close I can almost taste it! I would like to do this and maintain the good marks I’ve gotten so far. I want to do well in my last three prac units, and get the references I need for my Grad Year Applications. I also want to get all my numbers for things together so that I can hopefully do as few extra shifts for births and the like at the end of the year. I think it’s unlikely I’ll have all the numbers and not need any extra shifts, but we’ll see. I want to go to the Student Midwife Conference this year, and if I’m lucky one of the other professional conferences (that might be pushing it though). By the end of the year I really want to feel like I’m ready to transition into professional practice for real, have my own registration and the responsibility that goes with it. In this area I hope to continue the practices that I’ve found work for me in the past couple of years. I want to continue to refine the care and feeding of my extroverted self, surrounded by my wonderful introverted partners. I’m grateful to them for how loving and caring they are toward me, knowing that I thrive on a base level of affection and touch. I appreciate their efforts to give me what I need and that they notice how I in turn try and support and fulfil their needs. I want to remember that baths, books, Jamberry nails, video games, walks, podcasts, dinner and great conversations with my wonderful friends are my favourite self-care mediums. I want to keep making time for these and have them fit into what promises to be a busy and demanding year. I’m getting better at this as time goes on, so it’s refining and continuing as I’ve already started. I am allowing for some gentle untangling of some deeper and older emotional stuff inside, body stuff, family history stuff and being myself stuff. I’m not sure how that will go, but I’m allowing space for it to come about, without intending to specifically dig things out of my psyche and go to work on them. That said, I do want to finally conquer the ridiculous molehill-become-mountain that is getting my driver’s license. It’s back in active progression as I’m doing practise driving regularly again and will aim to book a couple of pass-the-test lessons and then do the test and (hopefully) pass! My intention for this year is that I reduce my overall anxiety, that I see a reduction or ending to those habits and telltales of my anxiety. I’d like to continue to dial back my hyper-vigilance as I can bit by bit. That’s hard. About as hard as I thought, but not intractable. It involves letting go, breathing out and trusting things to be okay and people to be okay. Cusp in this area is about being myself, and letting that be visible and outward without fear, learning to be okay with it and not quite so terrified. This is purely for me, my leisure, my enjoyment of time to myself and how to spend it. 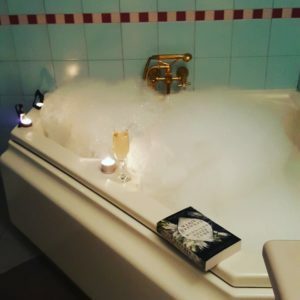 I want to read, enjoy book clubs, do reading challenges, catch up on some of the television I’m watching, play awesome games, keep up with podcasts and share that with people here and via social media. 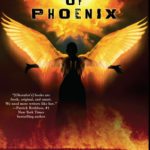 I want to keep reviewing books here and doing some interviews and blog tour things if I get the chance. I’ve already written up my reading goals for 2017 so I won’t rehash that. I think I’ll also just allow for another post at a random interval talking about the games, media, and updates to podcasts I love and so forth. This is the simplest for this category yet, but the intention is simply to just keep enjoying it the way I am and to share it outwards with joy and enthusiasm. This year looks to be crappier budget wise, but we’re going to try and make it work as best we can, it’s the last year where budget should be so very hard and that too is reflective of the theme Cusp. That means meal-planning and using little inexpensive things to keep our spirits up and to make us feel better about things. It’s easier to deal with a strict grocery budget if you’re still able to make awesome and interesting food. Since Bat is also back to sharing more of the cooking that actually looks less stressful and more possible. Household things in general seem to be mostly running more smoothly and fairly, with room for tweaking but there’s no real ‘hard’ attached overall. I want us all to feel like the breakdown is fair, achievable and that we live as well as possible in a lean year. I have some light aspirations towards decluttering – specifically in my bedroom/wardrobe space but I’m simply identifying the desire and not putting any specifics around it at this stage. It’s all possible. I would like to post more about food, cooking and meal-planning this year if I can manage it around study and book reviews. I want to enjoy my relationships, friendship, chosen family, family, romantic and other poly-connections. I want to spend time and appreciate the wonderful people in my network. I want things to continue to improve emotionally and in mental health for my live-in partners, it’s been a hard few years, and this year is intended to be the last ‘flagged’ hard year as after this we should have better income options which will take much of the pressure off and give us some more options. Fox is in the best place he’s ever been, but with that still comes new lessons and difficulties – like trying to learn how to actually relax. Bat is doing alright and is doing what he can to maintain that ahead of going back to Med School. His new boyfriend from the US is also planning to visit this year which I hope consolidates Bats feelings of love and safety and possibility, and that it helps him to get through the academic year. I want him to feel loved and supported and know that Fox and I are behind him eleventy percent, and that we welcome N as his partner too. I want to spend my 20th anniversary with my partner K who is interstate and I’ve not caught up with him in person since 2014, because money. But it’s our anniversary and there’s a lot going on to make this possible for him to be over here and for us to spend time together. 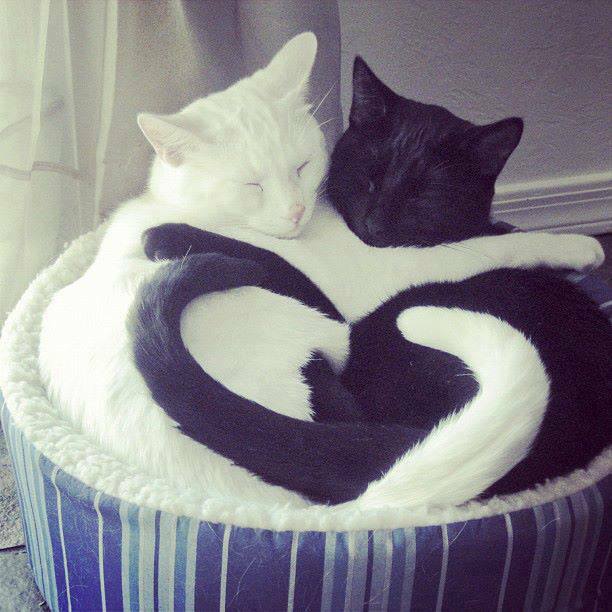 We’ve been through so much together, we mean so much to one another – and despite living on opposite sides of the country, that doesn’t change. He’s still the person who wants me to have the most amazing life and wants to contribute however possible to that, and I want the same – he made it possible for me to move to Melbourne and it was the best thing for me, despite how deeply I miss him constantly. I want to spend time with my other poly connections, enjoy the company and try and find some way of spending time regularly instead of sporadically – that ends up stressful, I’m making space for that to become easier. It’s hard with no central scheduling, competing priorities and obligations, distance, and lack of money to make things easier. I’m still allowing for the possibility. Overall what underscores Cusp for me is being open to things, allowing for possibility and being willing to take on things, try things, do things and see what happens. I still have to be mindful of energy levels, resilience and self-care but I feel much more capable of that at this point. This is less detailed and specific than in the past couple of years, but I feel more freedom at this point to see where it leads and to just let things happen. Hopefully that means more reflection posts along the way as I learn things too. Here’s to 2017, Cusp, and getting ready to take the leap, letting myself be with the moment, on the verge and almost arriving at the destination of Midwife. I’d hoped to get to this in December, but it didn’t happen so all my reflection and end of year posts are being mushed together with my 2017 launching/goal posts. It was a pretty great year for reading overall – but I wanted to evaluate that against the goals I’d hoped to achieve in my reading at the beginning of 2016. As far as my overall reading goal, I’d hoped to read 75 books and in the end I actually read 81 – according to Goodreads that’s 108%! A bunch of these were shorter, and there were a bunch of graphic novel trade volumes for the first time too. But I still think overall 75 was exactly the right number for a goal – reasonable, something of a stretch but something I can reasonably expect to achieve. I’m really looking forward to finishing my studies so that I can see what my reading is really like – I’ve been studying for almost a decade now, across 2 degrees so I can’t even predict what my reading looks like outside of study anymore. 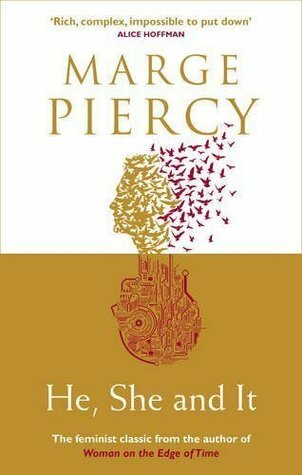 My goal for this challenge was to read and review 15 books, this was in part to tie in with other reading goals I had. I managed to read and review 17 books and I’ve also already posted my Australian Women Writers Challenge 2016 Completion post. I didn’t read all the books I had planned to, but I did read a bunch of unexpected books – and for the first time there were some audio books via podcast serials that I included. Probably my only disappointment really with my reading for this challenge last year, was that I didn’t read any works by Indigenous authors, and my diversity in this area was particularly low – I’m hoping to address that in 2017, it’s an ongoing goal. Speaking of diversity, that was another of my overall goals for the year. I wasn’t specific with this and that was deliberate because it’s an ongoing aim of mine. It’s also one that still requires a lot of conscious effort on my part to achieve – which as a white person is the point of why I’m doing this. But, I’m also a firm believer in the fact that goals and aims need to not be an excuse to punish myself, that defies the point of the goal in the first place and makes it no more likely to occur. 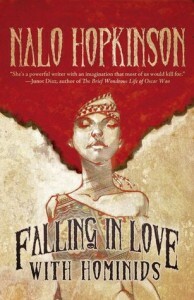 So I aim and where I can dedicate the energy to increasing the diversity in my reading I do so. Now that I’m looking over the books I read in 2016, I think I did a little better in this area than I thought, but it’s still only a handful. I did much better in reading from queer perspectives – but I’m also a queer person so it’s me seeking out representations of myself and doesn’t have the same meaning or importance in confronting my biases and being uncomfortable as a white person reading more non-white and Indigenous perspectives. I did read books by non-white authors and books from different cultural perspectives to my own, but there only a few, although they’re ones I enjoyed immensely. 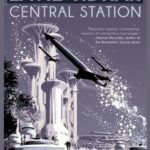 I reviewed Central Station by Lavie Tidhar, Book of Phoenix by Nnedi Okorafor, Thorn by Intisar Khanani and He, She and It by Marge Piercy. 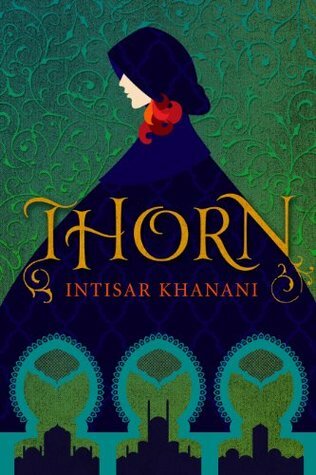 I also read Sunbolt by Intisar Khanani, but I’ve not yet reviewed it (but will do so together with the follow up book Memories of Ash which is on my to-read list). This was partially successful? I did participate, but the clubs I participated in where a bit different to the ones I anticipated. the YA Escape Bookclub wasn’t very active last year, and I was certainly busy enough that I didn’t get to read many of the nominated books, although Illuminae by Amie Kaufman and Jay Kristoff was one of them and a fantastic discovery. The Vaginal Fantasy Bookclub was active all year, but I fell out of keeping up with what they were reading and making the effort there – I did read Radiance by Grace Draven which was one of the pics for January and enjoyed it a lot (I still want to read the following books in the series), but I think that was the only one I read from that club in the year. Although I loved the idea of Emma Watson’s Our Shared Shelf bookclub, it wasn’t tightly organised and was an absolutely huge group very quickly which made it hard to follow. Also, I didn’t have a lot of coping to do the kind of heavy reading being proposed, or money to access the books – plus the discussions were so huge as to be intimidating unwieldy so I let that club go midway through the year. 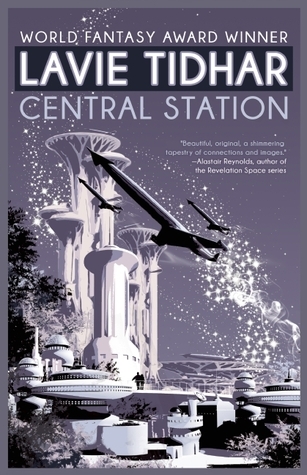 The Sword and Laser Bookclub is one that I followed a bunch of the discussions and even joined in with them, but I think I failed to read any of the books – I started Radiance by Catherynne Valente, but I found it deeply difficult to read and eventually declared that it was not a book for me recently. 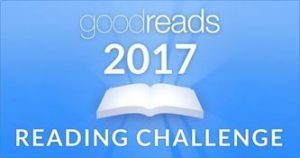 What I did pick up during the year and enjoyed immensely was the Goodreads Challenge group that does regular short and long challenges and buddy reading. I did five buddy reads including Shadow and Bone by Leigh Bardugo, Cinder and Scarlet by Marissa Meyer, Sunbolt by Intisar Khanani, and Hex Hall by Rachel Hawkins. I participated in some of the quarterly and monthly challenges too but I didn’t actually track those very well so no links, but I’m already tracking this year’s challenges better. Steph and I started this and it went really well for the first six months, and then the second half of the year hammered both of us. Also, when I am stressed and overtired and really busy with study, I am even less likely to read horror than the best of times. So it took me most of the second half of the year to actually read Through Splintered Walls by Kaaron Warren. 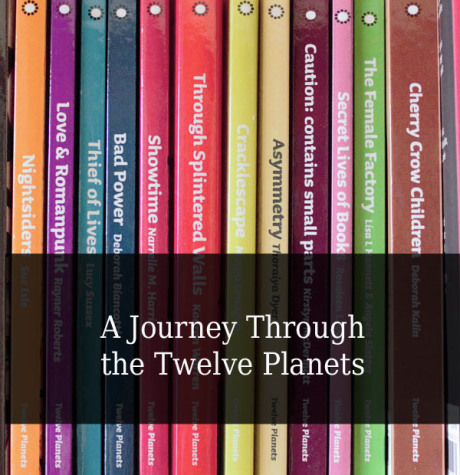 The other books in the Twelve Planets series by Twelfth Planet Press that we read and reviewed included Nightsiders by Sue Isle, Love and Romanpunk by Tansy Rayner Roberts, Thief of Lives by Lucy Sussex, Bad Power by Deborah Biancotti, and Showtime by Narelle M. Harris. Six books down, six to go! I had originally planned another largeish but relaxed reading challenge but it didn’t quite come together, but it was always a nice-to-have rather than something I was attached to for last year. 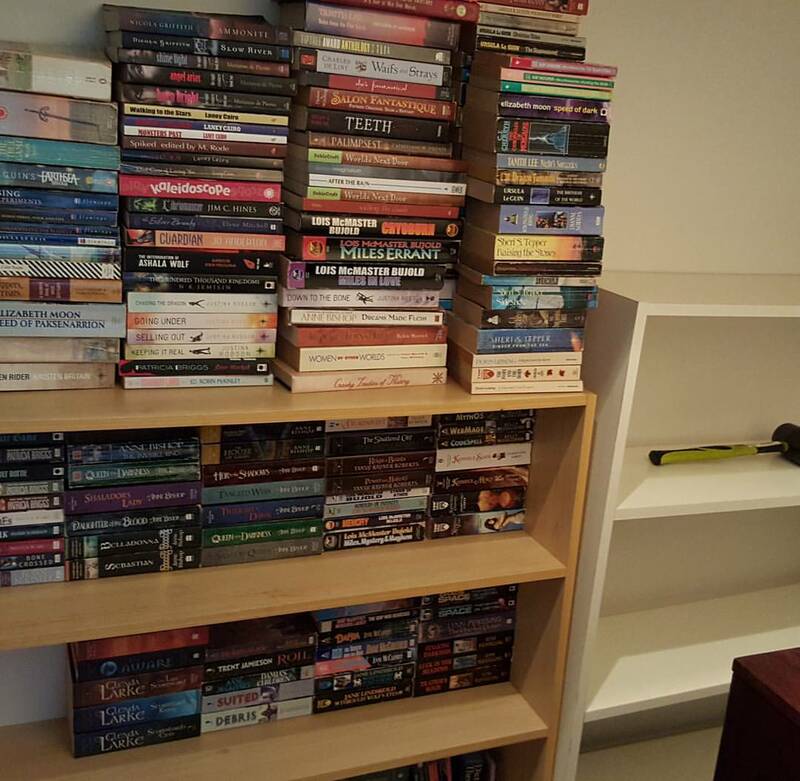 I actually do have progress to report on this – not much, but I did unpack my books when I managed to get a hold of some free bookshelves that would fit in my (actually strangely huge) wardrobe. So I unpacked books, but it didn’t lead me to reading them (yet). I hope that in the coming year that shifts – I do feel much better emotionally for being able to see and admire all my books again. I am reading a couple of physical books, but they’re definitely the slowest going for me at the moment as I often just pick up my phone to read by default now. I do still love turning the pages and reading a physical book. This year, I’m calling my reading commitments what they are: goals. This approach worked really well for me last year and I’m already so excited about the reading I’m going to be doing this year! My goals have evolved rather than changed dramatically, some things look the same and other things are different, but all draw on the same themes. Namely, I don’t tend to go for exclusive reading challenges, or incredibly time pressured ones. I like challenges that encourage me to read more, to enjoy reading, and to try things I might otherwise have missed. I have also long admired the friends of mine who’ve done re-reads and reviewing challenges around those so I’m going to take on my own this year! I am not including any study related reading goals this year. It was heavy going last year and I barely had time to think let alone do much beyond shoving things in my bibliography for assessment pieces, and that’s not the kind of sharing I’m interested in. Once again I’ve input my overall reading goal for 2016 into Goodreads as 75. I managed this last year, but it was a bit of a push at the end. This year might look similar by then – we’ll see. It seems to be enough of a stretch without making me feel bad about not reading enough. I signed up again! I love this challenge! 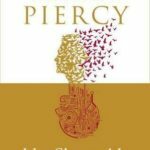 Last year I read and reviewed 17 books. This year building on that, (and because of related goals), I’m aiming to read and review 15 books (at least). I love that this challenge is so flexible, it invites you to read more Australian women and does so at very small commitments – 4, 6, or 10 books as suggestions. It invites you to review the books you read because reviews of women’s work is drastically under represented and reviews help authors (and publishers) do well. This challenge seeks to correct a bias in the best possible way, by creating something fun and inviting people to form a community and participate. 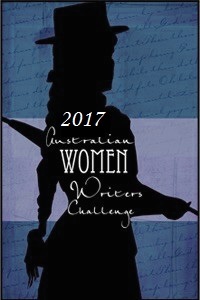 The challenge has been running for several years and every time the number of people participating grows, the number of books read and reviewed grows, the number of Australian women authors discovered, rediscovered and recommended grows. 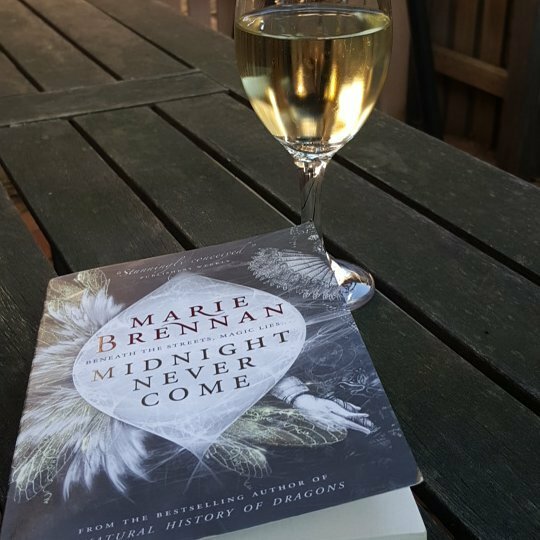 I highly recommend it as a nice reading challenge starting off point, also because Australian women produce books of exceptional quality. 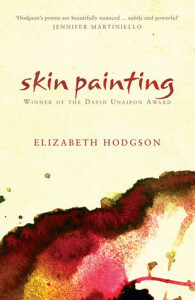 I want to continue to improve reading diversely, Australian Indigenous writers, writers from non-white backgrounds and ethnicities, writers with disabilities – and a broader spectrum of writers within this umbrella too, writers who are not cisgendered and writers who are not straight but identify as some flavour of queer. I usually manage a smattering of these and I want that to continue and to continue that in a more conscious way even if I don’t manage to improve my numbers of diverse authors read this year. This also relates to reading stories with diverse voices, not just reading authors with these traits. Although, I will always focus on stories that aren’t appropriative as part of this. This is a new thing, but I’ve been dabbling and I’m really enjoying it! So, I’m going to include it as part of my goals this year, basically just to participate. I like these as a chance to read books that are likely already on my ever expanding ‘to-read’ list, or to add them if they should be there. Plus, the chance to see what other people thought about books and think about my own reading critically, but in community. This is the YA bookclub run by Marianne de Pierres. I really enjoyed participating last year, although I only got to a couple of the books (and still plan to read some). 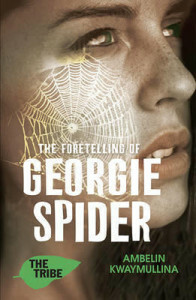 It was also enjoyable to read more YA fiction which I haven’t read much of in recent years, but actually really enjoy. 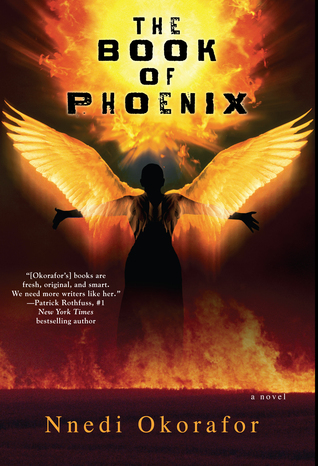 This is Felicia Day’s bookclub and it’s been running for a while and is hugely popular. The books read for the club are romance novels, though often with a speculative bent and those are the ones I’m aiming to participate with. 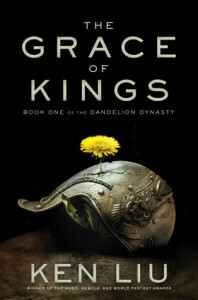 There’s a monthly vid hangout stream to join in with too which I’m looking forward to having read this month’s book Radiance by Grace Draven. This is the new bookclub run by Emma Watson. This bookclub is about feminism. It’s just beginning and I’ll be interested to see what books are read – I have high hopes for it being a thoughtful and intersectional selection. The enthusiasm for the club is enjoyable too. This one I found through VF and I’m pretty excited to join in – it looks like a great opportunity to find out about books I might have missed, and a prompt to read ones I’ve got sitting on my ‘to-read’ list already. Currently, 693 – how am I ever going to get this number to go down (so I can add to it with wild abandon again of course!)? 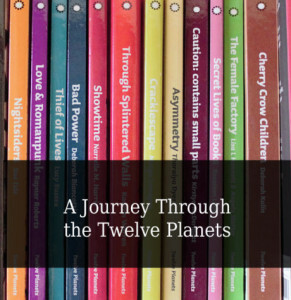 Steph and I realised via Twitter that we both planned to read the Twelve Planets short story collections by Australian women authors produced by Twelfth Planet Press this year. So, we decided to do it together and review them! Then we decided to make it a challenge so others could join in if they liked! We’ve just created a separate blog space to collate all the reviews, plus do interviews and giveaways and the like. If you’re interested, you can join in for the whole twelve books (one a month), or just join in with the books you’re most interested in. Also if you previously reviewed any of the books, we’ll happily include your reviews when we’re rounding them up! I won’t say much about this right now as it’s a group project and we’re still working out how this is going to look. This is a project that will likely extend into next year as well though, that’s worth mentioning now. It’s a rereading group project and I’m ridiculously excited about it. I can’t wait to say more! So little time! So much reflection to do on the year past, and also casting on, so to speak, for the year ahead. In the beginning of 2015 I wrote about reading goals I had for the year, and since it was quite a detailed list I wanted to see where I ended up with all of it. Overall I think I pitched my goals well, I met my overall reading goal, I did make improvements to my diverse author reading but there’s still room for a lot of improvement there. I read more short fiction this year than ever before and enjoyed it, so even though that wasn’t on my list of goals, it’s worth a mention. I reviewed so much more this year than ever before and I really enjoyed it – I’m already looking forward to my reviewing in 2016! Also, expect a post on my 2016 reading goals. I’m loving reading everyone’s end of year reading and media round up lists, loving reading about people’s reading goals for this year and people are so excited about stuff – it’s so awesome! Completed! I managed to just barely exceed it – but this may be because some books were smaller than others. Anyway, I’m really pleased I managed it! I well and truly exceeded this! I read AND reviewed a whopping 17 books! Here’s my wrap up post if you missed it. I did indeed increase the number of books I read by Indigenous authors, and I reviewed all of them. I read 3 books by Indigenous authors, not as much as I could have hoped but I’ve still got things on my ‘to-read’ list and I’ll continue to try and improve on this. I don’t know how I did on this in terms of numbers, I can definitely say I increased the number of books I read by non-white authors, but not whether it was 10. 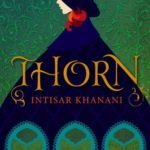 I did review many more books than I have in past years, including a couple that were by non-white authors but I think this will continue to be an area I need to improve upon – I have added many books to my ‘to-read’ list to help this. Also worth noting that I only read ~75 books in 2015, and most of that was comfort reading while studying – mostly paranormal romance. I didn’t manage to read as many of the books as I’d hoped, but I did read some of them and participate. I did read at least one book I wouldn’t have otherwise picked up, which was the nicest thing to come out of it (and there are probably still some others on my ‘to-read’ list. I really enjoyed the experience and look forward to a new year of reading in the group. I did track the reading I did and I did bucket loads of reading for essay research. I feel like I almost drowned in the reading I did. I still have fairly vivid recall on a bunch of the stuff I read for my end of year essays. I didn’t write about stuff as I’d originally intended because of an experience I had mid year with being open about what I was learning and so on. The result was to just not discuss it and that’s still where I’m at. I did not do this, I reaaaaaalllly need bookshelves to do this. Hopefully a 2016 thing! This is my yearly introductory post to my theme, it’s my way of marking the new year and new journeys, new focuses and personal growth. Last year’s theme was ‘Renewal‘ and it was an intense but ultimately rewarding and beautiful year that delivered all the promise that a word like renewal holds. If you’re interested in themes for yourself, I wrote about how I go about putting together the concept and practise of a theme, which is essentially a year long enquiry. It’s a little about letting the world go to work on you, and a little about going to work on the world as well. It’s all very personal so it can be anything you want, really. 2013’s theme is already well underway though I’ve not tried to write about it to formally open up the enquiry till now. Afterall, how do you write about bravery when you are feeling anything but? And yet, feeling brave or not I am practising bravery and that’s really at the heart of things. It’s not about *feeling* brave all the time. Instead, the focus is on being aware of myself, taking a moment to consider saying ‘yes’ to things I’d ordinarily decline. Bravery is about operating entirely outside of my comfort zone in massive ways, tiny moments and all the in between. The central event that will define this year and this theme is that I moved from Perth where I was living with my fiance and his boyfriend (plus three cats and a dog), and moved to Melbourne. I left another partner and a new love, an incredibly strong, broad and inspirational support network of friends and community. I’ve moved to a place I am more in love with than I thought possible. I am head over teakettle in love with Melbourne. I also have partners here, one that is for the first time not a long distance relationship and another boyfriend who recently migrated with his fiance from Perth to start medical school. I have other romantic connections here but they’re less defined and more nebulous in feel… they’re potential and that’s open to move in any direction really. I have friends here, close friends and people I want to be closer to. And not just in Melbourne but all throughout the Eastern states… being here in Melbourne I can pursue those connections too. I think Melbourne will be good for me career wise and academically. But what I’m saying is that… moving like this is the bravest thing I’ve ever done. I’ve turned all of my deepest and closest relationships inside out. Nothing is comfortable and I am in the midst of a liminal, ephemeral experience of uncertainty. It’s also exactly the right thing for me to have done, I know that deep within me no matter how wretched I am feeling right now. My fiance has been part of my daily life for most of the last 16 years… and unlike when I moved three months ahead of him to Perth, he’s not coming to join me soon. It may be two years before he and his boyfriend make it to Melbourne, though that is the ultimate plan. I’ve never really consciously lived anywhere else than with him, or in any other kind of situation. I’ve never had my own place before. And even though I am poly, my experience of this has been less a conflict of busy schedules (a common difficulty), and more the difficulty of schedule mismatch and distance. That’s just been magnified in a truly magnificent way, and right now it’s the thing I’m finding hardest to deal with here in my beloved new city where I can’t yet put down roots or nest. So right now, each moment is a moment of emotional bravery, forging a new path and gaining new understanding of myself and how my connections work, how I work in my connections. The difficulties in asking for what I need both for me and for others. There aren’t really any direct fixes here, just riding out the feeling of being overwrought and lonely, being ruthlessly gentle on myself and remembering that most of this present feeling will shift when I have a job and can start to really *live* here in Melbourne. Right now it’s more of a floaty existence. So bravery is already being incredibly demanding of my emotional and mental fortitude. I wonder right now, does it get easier from here? Does the hard just shift and change as I get a job, find a place to live and start to form patterns of everyday life and nest? I’ve been thinking about this post since New Year’s Eve, since I was packing to move, since I embarked on the drive over here (yes, I drove with my best friend across the country in my little blue car now named the Tardis for how awesomely she fit all my stuff). There are a number of ways in which I want to explore bravery and things I want to do that seem to be part of what I want from this enquiry. In no particular order…. Explore options for permanent employment that I might be willing to commit to that allow me to progress my career as a business analyst. Do some sort of training in Agile methodologies, preferably at the expense of some awesome employer that I’d like to commit to. Volunteer with OTW and enjoy getting to hang out with cool people doing something I think is amazing and getting Agile familiarity while I’m at it. Explore yoga and pilates as things that may have some positive impact on my pain levels. Take up a latin dance class, particularly interested in Argentine Tango, but I enjoy them all and clumsy or not it’s fun. Try (or re-try) a bunch of other different sport/leisure things that I’ve mused about trying for ages, like rock climbing, horse riding, sailing, cycling, swimming. 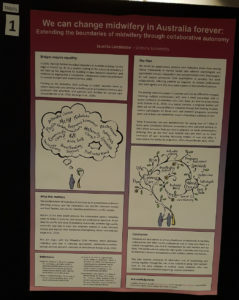 Go to a conference related either to my work interests or academic interests. Develop a wardrobe appropriate for the kind of job I envision myself doing, but managing to fulfil comfort and creative requirements. Get my P plates once I’m comfortable driving in Melbourne and the CBD, including on tram lines, hook turns, stop start traffic, and other complexities. Go on road trips, hopefully go on a road trip by myself once I have my license! 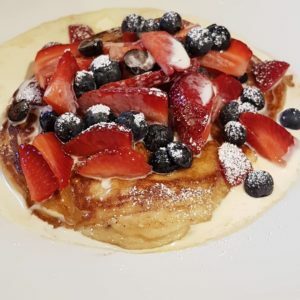 Explore Melbourne, so many festivals and events and random stuff happening – I want to go to a bunch of things and just enjoy that this is possible and happens here! Find an awesome place to live with a housemate or two in the area around Brunswick. Nest in new place to live. Do well in my last two units for my degree and work out where to apply for Honours and talk to useful people about doing that. Read 100 books including completing the Australian Women Writers Challenge for 2013 and also reading some of the texts I’ve bought that are nonfiction that I haven’t found my way to yet. Keep involved with the Down Under Feminists Carnival including writing pieces to submit to it. Try and keep up with my blogging both here and at my personal journal. Especially include more personal photos in my personal journal. Send out postcards and letters – reduce the stash! Explore cooking adventures, particularly in cuisines and techniques I’d like to be more proficient cooking in. Consider doing this similar to how Calli did it once upon a time with a month long focus on different cuisine. Nurture my relationships abundantly especially since they’ve all been turned inside out. Be brave and gentle about all the changes. Spend time with my blood family, including introducing boyfriend and girlfriend if I have an opportunity. Support boyfriend in his med school adventures, being a guinea pig where useful. Learn basic chemistry, physics and biology via Khan Academy. Look out for opportunities to have unexpected adventures and say ‘yes’ more often. Share these adventures with others whenever possible. Be my best self to the best of my ability and remember that I didn’t create the art separate from myself, that I get to make a difference just by being myself in the world and that’s amazing (and discomforting), inspiring (and confronting). Dear 2013, you are going to be a massive challenge the entire way through but I am ready for it and willing. I am excited about everything I’m going to learn and hope to make the most of all the joy and love around me through the hard bits. Through this enquiry I will truly reconnect with that experience of myself as a Giant and share this with others. Here’s to a busy, productive, amazing and challenging year. I’m starting without a comfort zone but I am optimistic and determined.